As a teacher or principal, do you incorporate a growth mindset concept into the school classroom or community? This is one of the top trending topics in student education at present. Beginning an advocate of this strategy in my personal life, researching and learning more about it truly inspires me to stay up late. Stanford University psychologist, Carol Dweck, discusses two types of mindsets: fixed and growth. In a fixed mindset, students believe their basic abilities, intelligence, and talents, are just fixed traits. Whereas in a growth mindset, students believe they can achieve any level of intelligence, or acquire any types of abilities or talents through study and hard work. Therefore, the key to developing a motivated and driven group of students is to facilitate and nurture a growth mindset within the classroom. To promote a growth mindset within the learning environment, teachers must first subscribe to the concept themselves. If you find you are struggling with developing a growth mindset, seek out other educators and resources to help put you on the right path to success. 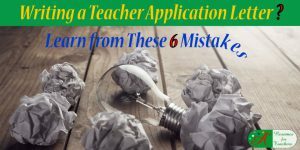 Once you have opened your mind up to a whole new world of possibilities for yourself as an individual, as well as a teacher, you can begin to help students come to the same realization. Explain what growth mindset means. 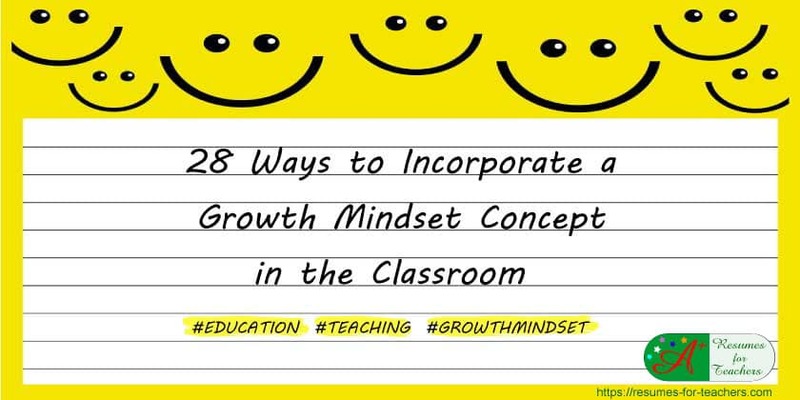 Start by explaining to students what a growth mindset is. Break it down into fundamental terms as I have done above. Compare fixed and growth mindsets, and demonstrate why the latter is much more effective. Show students that they are not limited in their abilities or defined by specific parameters; there is no limit as to what they can achieve. You may have to reiterate this on a regular basis, ensuring students truly believe it. Help students set reasonable goals. Once they have met and surpassed these goals, congratulate them, and explain how they can accomplish similar results for additional talents and skills. The key is to set reasonable goals, which can be accomplished with hard work and studying. When students realize they are able to achieve greater success than they originally thought, they will feel a sense of empowerment. Facilitate and encourage this feeling of empowerment, self-confidence, and motivation. This has a bonus effect, which will leave students with a positive impression of going to school and help prompt them to become life-long learners. Utilize the word “yet.” Take the sentence mentioned above, “I’m not good enough at this,” and add “yet” at the end. You now have “I’m not good enough at this, yet!” Every time a student engages in self-deprecating behavior, add the word “yet” to encourage him or her to not give up. Minimizing or removing this negative behavior will help keep students focused and on-track. Concentrate on classroom management as you normally would, but remember there is an added bonus to keeping students well-disciplined and focused – a growth mindset. Model a growth mindset in front of your students. As the old adage goes, “monkey see, monkey do.” Students will learn to break free from their fixed mindset and reach new heights if they see you are doing the same. Use yourself and past experiences as good examples to encourage them along. Foster a nurturing environment where students feel free to take risks, ask questions, and share ideas. Remind students that without taking risks, they are not growing, but are instead remaining stagnant and unchanging. Promote creativity, brainstorming, and outside-the-box thinking. Creativity and innovation are key to helping students expand their skill sets and knowledge base. Encourage students to learn from their mistakes, as well as those of fellow students. Discuss what students learned from the outcome, and how to correct their action or answers the next time. Treat your “mistakes” as opportunities for growth. If you make an error in front of your class, use it as a teachable moment and a learning opportunity that your students can appreciate as well. View challenges as chances. Not only should mistakes be looked upon as opportunities, but difficult tasks as well. This will spark a desire for self-improvement and increase self-esteem and confidence once these challenges are overcome. Promote self-reflection and self-assessment amongst your class. Have students take a personal inventory of their current skills, how far they have come since the beginning of the school year, and where they would like to be by the end. Ask students to share their assessments with you, and provide any and all support that you can to ensure they are able to reach their full potential. Encourage students to not only take time for self-reflection in class, but at home, and in the following grades as well. Self-reflection should be practiced on a regular basis. A growth mindset should be maintained for life. Differentiate instruction. Facilitate all types and levels of learners to ensure all students are able to learn, grow, and succeed in their own right. Tell students to compete with themselves, not others. As long as students are growing and developing throughout the school year, then they are succeeding. Explain that it shouldn’t matter what someone else achieved on the test, just how well the individual student performed and improved. Remove class averages. Do not tell students what the average score was for any of the exams. If a student is below the class average, he or she may feel incompetent or incapable of success. Instead, focus on whether or not students’ learning has increased overall. Show students the value of the process, instead of the end result. By providing students with an exciting and interesting academic experience, they will value the learning process more than simply the knowledge they gain. Make sure students take ownership of their learning. Demonstrate why it is crucial for students to play an active role in the learning process, maintain focus in the classroom, and contribute to class discussions. Reward student effort. Instead of rewarding the class for a specific mark achieved on the exam, reward them for all putting in a solid effort for studying and writing the test. Delay gratification in the classroom. Students do not need to receive immediate praise for a job well done or a high test score. By delaying reward, students are forced to develop grit, maintain extra determination, and seek approval from themselves, and not others. Incorporate assignments or projects that will not have a perfect outcome. Before students begin, tell them this is a test of endurance and effort, not results. Reward students based on their drive, not their aptitude. Ask students to set new goals once one is accomplished. By continually setting a higher bar or seeking to learn a new skill, students will not become complacent but instead, seek to better themselves on a regular basis. Provide students with positive distractions during difficult tasks, tests, or assignments. This may include giving them a chance to get up and stretch, chew gum, have a snack, and so forth. 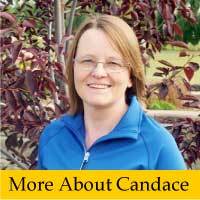 Explain the concept of a growth mindset to parents. If parents are provided with a tool to help their child flourish and succeed, they will likely use it. By introducing this concept to families, they are likely to embrace a growth mindset themselves and assure that their children do the same. When students have completely adopted a growth mindset, point it out to them. Congratulate these individuals on this incredible accomplishment. Be patient, as the other students will soon follow! Since growth mindset has become so popular in the academic world, it can be seen as an educational buzzword. And what should we do with educational buzzwords? Incorporate them in our resume! 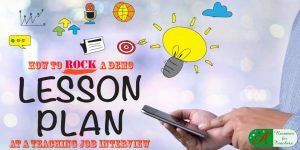 By utilizing this term in your job application documents, as well as other key concepts, you are able to prove to the reader that you remain on top of instructional trends and keep an open mind to new ideas. The trick to integrating buzzwords such as growth mindset is to weave them in casually. For instance, under the Areas of Expertise section in your resume, you should list growth mindset if it applies to you – if it doesn’t, then do all you can to research and practice the concept. If you attend conferences, workshops, or in-services that focus on a growth mindset, you can include that under your Professional Development. 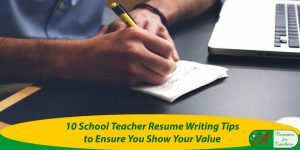 To make it stand out even more, include this teaching strategy as one of the bullet points under the applicable job. You may even go so far as to bold the words “growth mindset” within your resume. Do not go overboard with font formatting (bold, italics, underline), but use it to make sure key elements stand out in your documents. 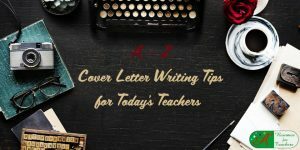 Growth mindset should be incorporated in your cover letter as well. 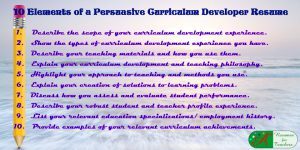 List this as one of your greatest strengths as an educator, a concept you promote within the classroom or a topic you like to collaborate on with fellow educators. Reiterated this in the thank-you letter, which is sent post-interview. The act of facilitating a growth mindset should be written into your philosophy of education statement too. In fact, once you subscribe to the view of a growth mindset, it will form a large part of your educational philosophy. You do not need to dwell on the issue within your document, but make sure it is incorporated at least once or twice, whether directly or indirectly. Explain why it is so crucial for children to possess a growth mindset, as opposed to a fixed mindset, and demonstrate how you promote this within the learning environment. 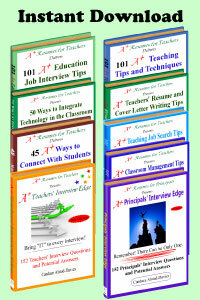 When it comes time for the teacher job interview, what are you going to talk about? A growth mindset! 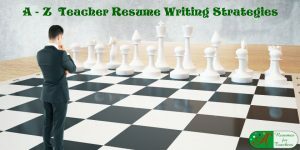 As mentioned above, by utilizing terms like this, you can prove concretely to the interviewer that you remain up-to-date on educational trends and effective teaching techniques. However, don’t just talk the talk, you need to walk the walk. 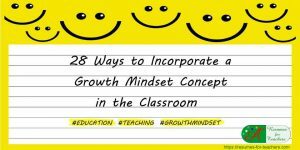 Instead of simply throwing around the term, demonstrate how you practice and facilitate a growth mindset. During your demo lesson plan, integrate activities and assignments that promote the development of a growth mindset in your students. 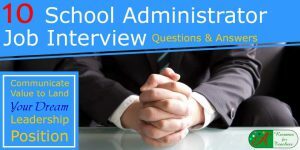 When discussing how you handle disciplinary issues within the classroom, explain to the interviewer that you treat these issues as opportunities for learning for the entire class. When writing about student assessment, mention that you have eliminated class averages, and concentrate on the growth of the individual student instead. If you are talking about student motivation, speak to your methods for facilitating student empowerment, self-confidence, self-esteem, and taking ownership of their learning. Please share this post if you think growth mindset is needed in the classroom to spread awareness.